Child thrown from mall balcony showing "real signs of recovery"
MADISON, Wis. — A missing Wisconsin girl's parents were shot to death in their house while the girl was home, authorities said as they urged the public to keep phoning in tips about her whereabouts. 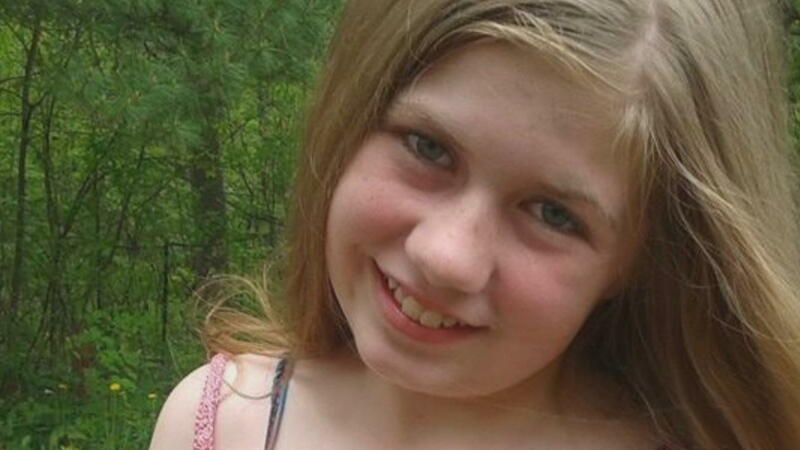 Investigators have been searching for 13-year-old Jayme Closs since deputies responding to a 911 call early Monday found her parents dead in their home in Barron. The girl, who was ruled out as a suspect on the first day, was gone when deputies arrived. Relatives of Jayme told CBS News the front door to the house was shot in. Barron County Sheriff Chris Fitzgerald said during a news conference late Wednesday that autopsies confirmed that James and Denise Closs had been fatally shot and that their deaths have been ruled homicides. He said no gun was found at the scene and that evidence from both the house and from the 911 call indicate Jayme Closs was in the family's home when her parents were killed. Barron is about 80 miles northeast of Minneapolis. The sheriff told CBS News correspondent Adriana Diaz that they've identified whose cell phone the 911 call came from. Fitzgerald said investigators still have a "100 percent expectation that she's alive," but that even though they've received more than 400 tips, none have been of a credible sighting. He implored the public to share any suspicions, including any behavioral changes in people they know, no matter how small. "We want to bring Jayme home and put that smile back in her family's hands," said Fitzgerald, who added that investigators don't know whether the attack was random or targeted. The sheriff called a meeting Wednesday evening with Barron County residents, but he barred reporters from attending, saying he wants to have a private dialogue with the people who elected him. Bill Lueders, president of the Wisconsin Freedom of Information Council, called the decision to bar the media "offensive." "The media are uniquely able to help, in terms of getting out information and encouraging people to share tips," Lueders said. "Does he want to find this girl, or does he just want to make a public display of his dislike for the press?" More than 100 local state and FBI agents are working on the case, CBS Minnesota reports. "It would be nice if we could find something out, it's been very mysterious situation, kind of creepy," area resident Pat Richter told the station. © 2018 CBS Interactive Inc. All Rights Reserved. This material may not be published, broadcast, rewritten, or redistributed. The Associated Press contributed to this report. Top Democrat says he can foresee impeachment proceedings "possibly coming"
Did the couple choose a name? Do we know the gender? What's the due date? Shares in Pinterest soared 28 percent Thursday during the newly public company's first hours of trading under the New York Stock Exchange ticker symbol PINS. Buildings around the globe account for roughly 40 percent of the world's carbon emissions. In response, a growing number of cities are adapting old and new structures in ways that save energy and cut down on emissions. Transmission problem in Dodge Dart compact cars made from 2013 through 2016, when company stopped producing them. For a generation defined by unprecedented levels of debt, paying down credit card and student loan bills trumps saving for retirement. It was an emotional day in court as a California couple was sentenced to 25 years to life in prison for keeping their children shackled and hungry for years. For the first time, some of the children spoke. John Blackstone reports. What's in your fridge? Just maybe salmonella, E. coli – and a dead bat? David Turecamo, "Our Man in Paris," explores the history of France's famed Notre Dame Cathedral and explains how it was saved from near destruction. This story originally broadcast on April 24, 2011. President Trump is on the defensive after the release of Robert Mueller's report. This comes as Massachusetts Sen. Elizabeth Warren became the first 2020 Democratic candidate to call on Congress to begin impeachment proceedings. Niall Stanage and Jesse Weber joined CBSN to break down the week in Mueller news. A new CBS News poll says Americans' support for legal marijuana use is now at 65 percent, up from 45 percent just six years ago. But a majority of Americans say it would make no difference if a presidential candidate supported legal use. Many 2020 Democrats are embracing the idea. Mona Zhang, who covers the marijuana beat, joined CBSN to discuss its impact on the presidential race.